Zack Greinke won the Outstanding NL Pitcher Award from the MLB Players Choice Awards on Monday. Unlike the other awards yet to be given out, these are voted on by the players themselves instead of the media. The Cy Young talks have been debated for months now but as the awards season gets underway the time for talk is now! 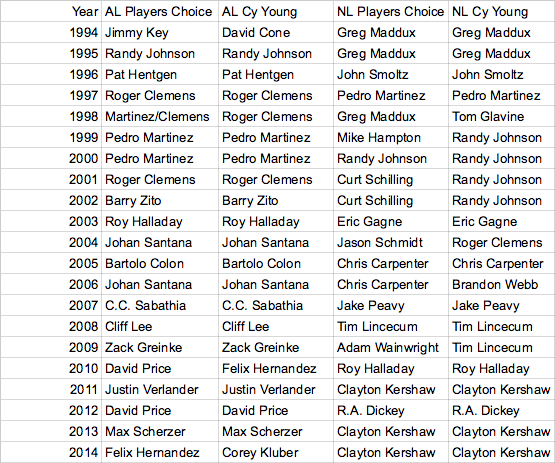 So how often does the winner of the Players Choice Award win the Cy Young? Out of the 21 previous years, the AL only had three instances (really three and a half since 1998 was a tie) that the Cy Young voting didn't match the Players Choice. 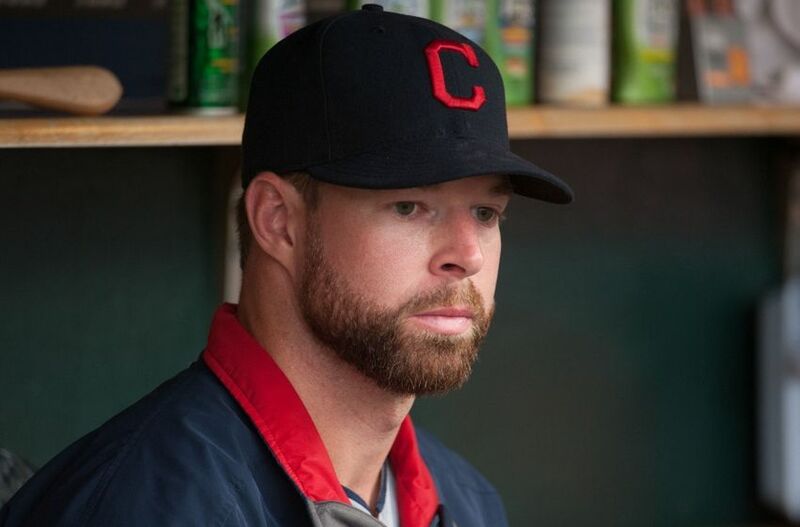 Two of those years were fairly recent with last year having a mismatch of the players choosing King Felix over Corey Kluber who eventually took home the Cy Young. "Why don't the other guys like me...?"